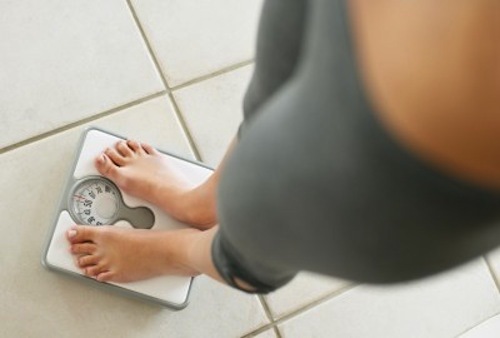 With Americans becoming increasingly overweight each year, weight loss is big business. This paves the way for any number of diet books and fads. Some of these are based upon sound scientific principles, while others may not work at all, or may result in a modest weight loss followed by rebound weight gain. A preliminary scientific study — one neither large enough nor strong enough to be considered conclusive at this point — suggests that low-fat diets may be less effective than other weight-loss strategies from a metabolic perspective . The study was conducted upon a very small group of individuals (21 in total) who had already lost some weight. The participants followed three different diets (in no particular order) for 4 weeks each: a low-fat diet, a low-glycemic diet, and a low-carbohydrate (Atkins-type) diet. Glycemic index: a measure of the rate at which sugar from food enters the bloodstream; higher glycemic index foods are associated with an increased risk of developing type 2 diabetes and obesity. The researchers used metabolic testing to determine how each of the diets affected resting energy expenditure (REE) of participants, where REE is the number of calories burned per unit time at rest. On the low-carbohydrate diet, participants burned about 300 more calories per day than on the low-fat diet, while on the low-glycemic diet, they burned about 150 more calories per day than on the low-fat diet. From a purely metabolic perspective, this suggests that the low-carbohydrate diet is the most effective of the three. Increased energy expenditure isn’t the only measure of a diet’s efficacy, however. First, no diet is effective long-term if it’s too restrictive for participants. Many individuals find a low-carbohydrate diet to be too difficult to stick with because of the severe food restrictions. Additionally, there’s the question of rebound weight gain; metabolically, a low-carbohydrate diet can create a starvation-like signal in the body (even if the dieter is consuming adequate total calories). While there’s insufficient research on the effects of this signal, from a biochemical perspective, it’s plausible that this could lead to the increased potential for rebound weight gain after cessation of the diet. Finally, existing research suggests that low-carbohydrate (high-protein, high-fat) diets may have negative health consequences, including increasing the risk of heart disease and type 2 diabetes, and increasing sequelae of systemic inflammation . Of interest, all 21 of the participants in the Ebbeling study had lost 10–15% of their body weight prior to beginning the study on a diet composed of approximately 45% carbohydrates, 30% fat, and 25% protein. These percentages of nutrients represent a very balanced diet that, when containing an appropriate number of total calories, may be the most sustainable over time and the healthiest for weight loss and maintenance. Ebbeling et al. Effects of dietary composition on energy expenditure during weight-loss maintenance. JAMA June 27, 2012, Vol 307, No. 24. Bravata et al. Efficacy and safety of low-carbohydrate diets: a systematic review. JAMA. 2003 Apr 9;289(14):1837-50.